Case Trapper Buffalo Knife Sheath with Rattlesnake Inlay, Case Trapper Sheath. 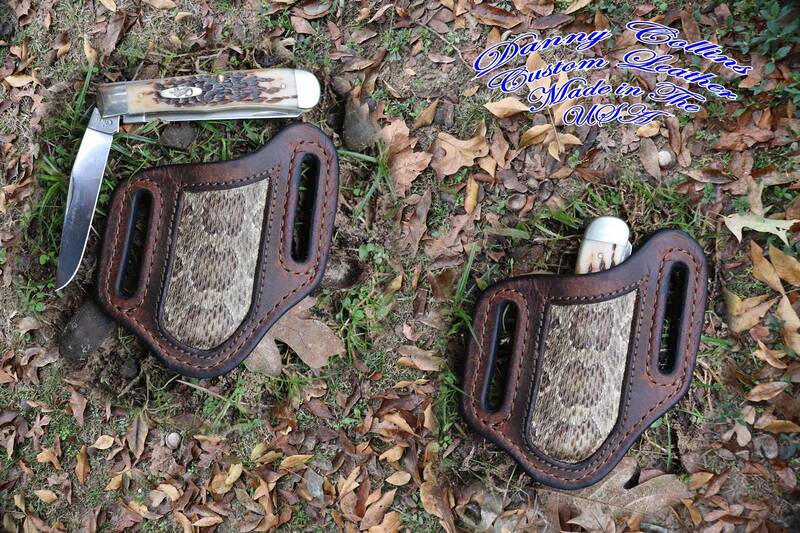 This knife sheath was made here at my shop in Oklahoma from top quality buffalo leather and inlayed with genuine rattlesnake giving it a unique look and feel. The sheath is lined with the finest American made veg tanned leather available insuring it will last for years.